What do you make your quilty friends? One you've never met? One whose work you love and admire? It's a tough decision but then I thought about Clare, things I know she loves, the things I think she does beautifully and I put a lot of thought into it. It started with a challenge. Metallic thread + cork fabric. I wasn't sure it would work, honestly it wasn't easy, especially since it also had a layer of Bosal and lining fabric too. I also sew really fast and metallic thread doesn't like that, after asking advice on social media I slowed down a lot and it got better. And the result looked really cool! 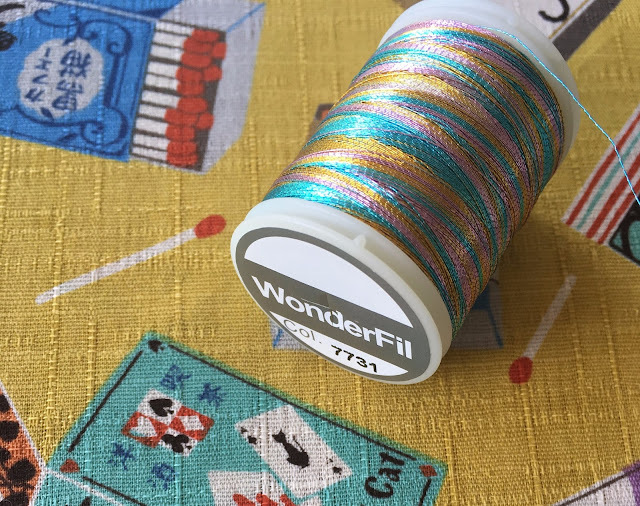 The pretty pastel glimmers of the Spotlite WonderFil thread are a nice contrast to the coloured flecks in the cork. I used colour 7731 and I will definitely be experimenting more with it, I think it would look stunning on a low volume print too. I chose to make it into a bigger version of my A Piece of Me Pouch, I wanted Clare to be able to put art supplies in it, maybe with a sketchpad too. I love her art and want to see more of it so I hope this encourages her in a way. 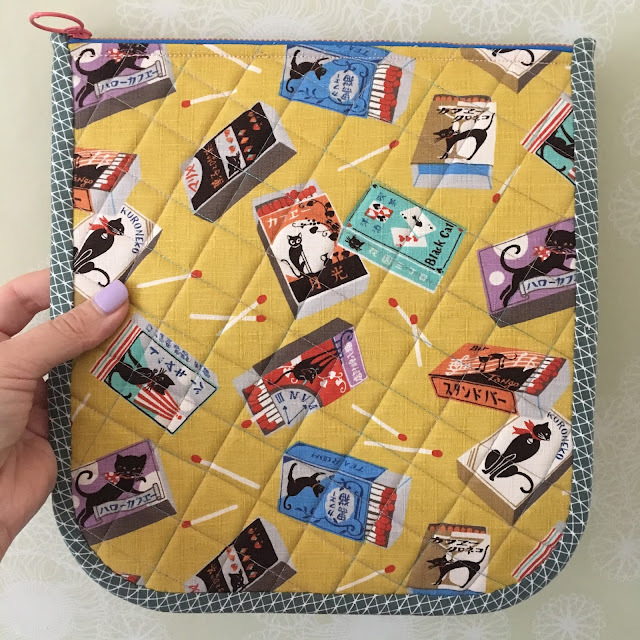 For the reverse of the pouch I used this fun Cosmo Textiles matchbox print from Sunny Day Supply, one of my very favourite prints. It's nice to add something of your own style into things you give and we both love Mary and her shop too so it has good connections. 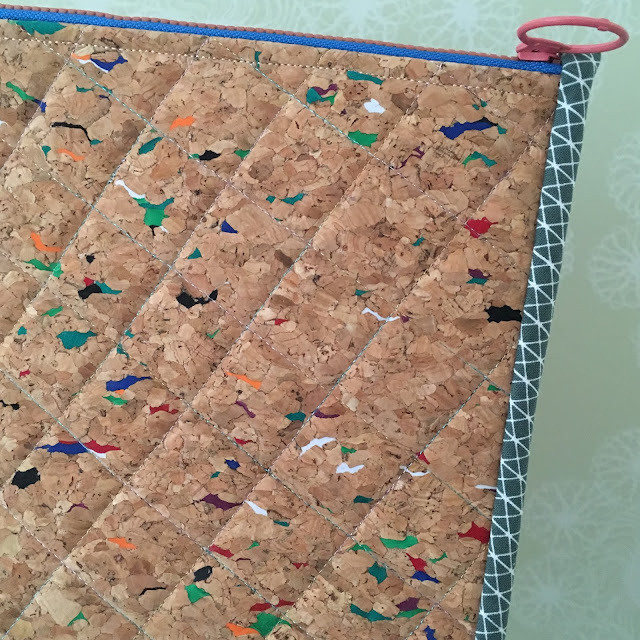 Of course I had to do some English Paper Piecing because it was through Clare's blog that I learnt to do it - specifically this blog post. 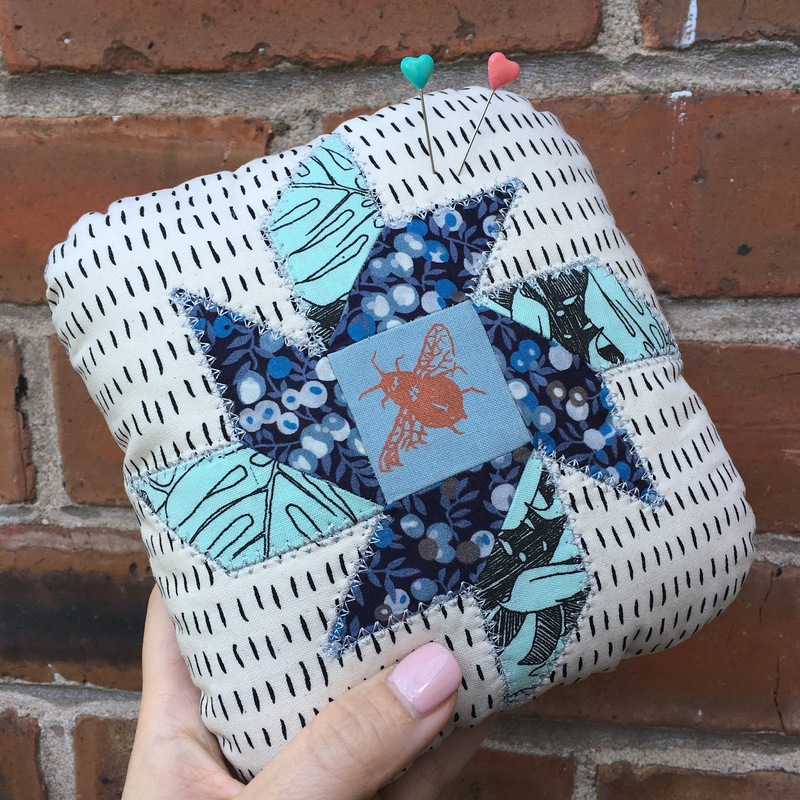 Then she did a block party with her fabulous Rose Star tutorial, which was the quilt that really made me want to learn epp! 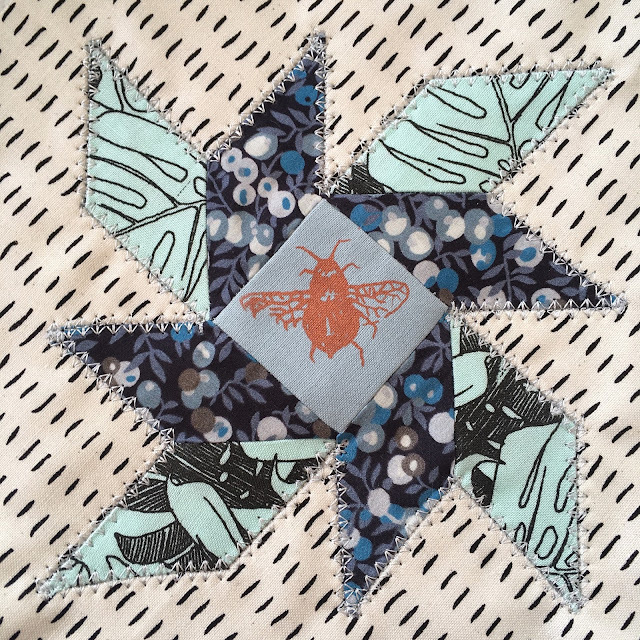 I chose Liberty Wiltshire berries and the Monstera print by SkinnyMalinkyQuilts because I thought Clare would like them, the bee is me in Manchester and the background is the rain! The applique was easy, using a decorative stitch on my machine (the same method I used for hexies here) to hold it in place and quilt it at the same time. 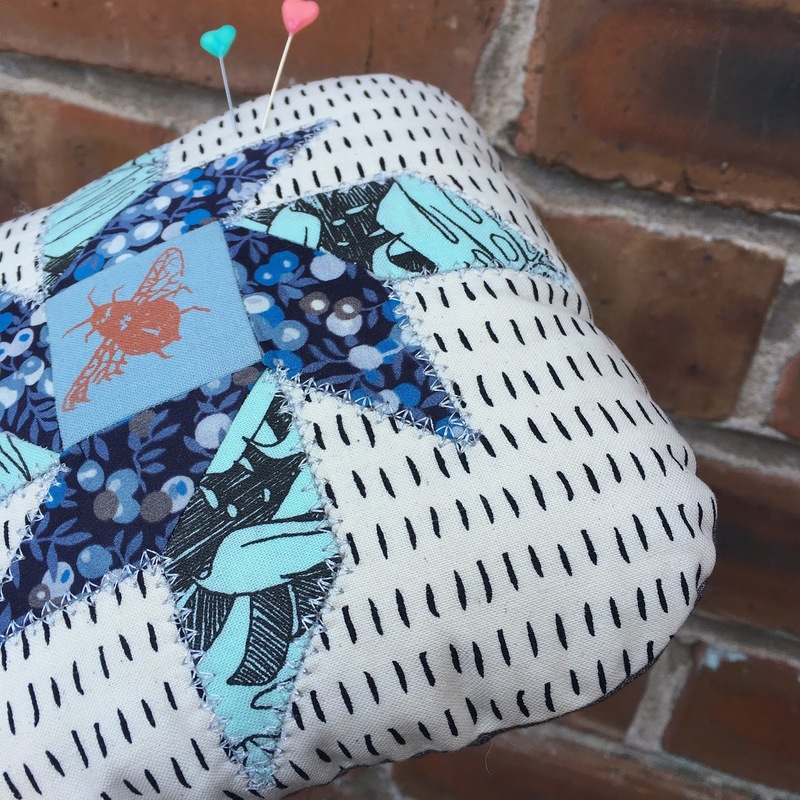 And I turned it into a decent sized pin cushion! I had somehow managed to misplace my stuffing but happily I found it after a bit of a hunt. I love using this ball type stuffing, it's nicely bouncy and really easy to work with. 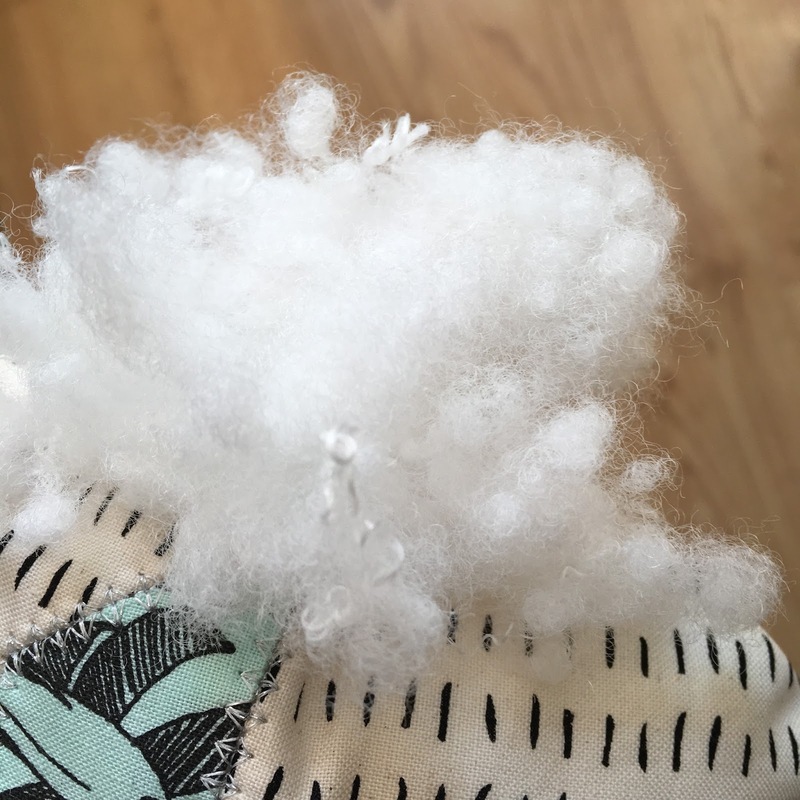 It is fluffy but doesn't go everywhere like other stuffing I've used. Also it's cheap for a massive bag! To get the best stuffing (in my opinion) click here. And I had to round the corners just because I've become obsessed with using CDs as a cutting template! Does anyone play CDs anymore? I do sometimes... and tape cassettes! I hope she enjoys using them, they were made with lots of love! i miss her blog! And am enjoying yours! 2 lovely makes for your dear friend, both pretty and practical too. Have not tried that make of thread but there again tend to avoid all metallics. 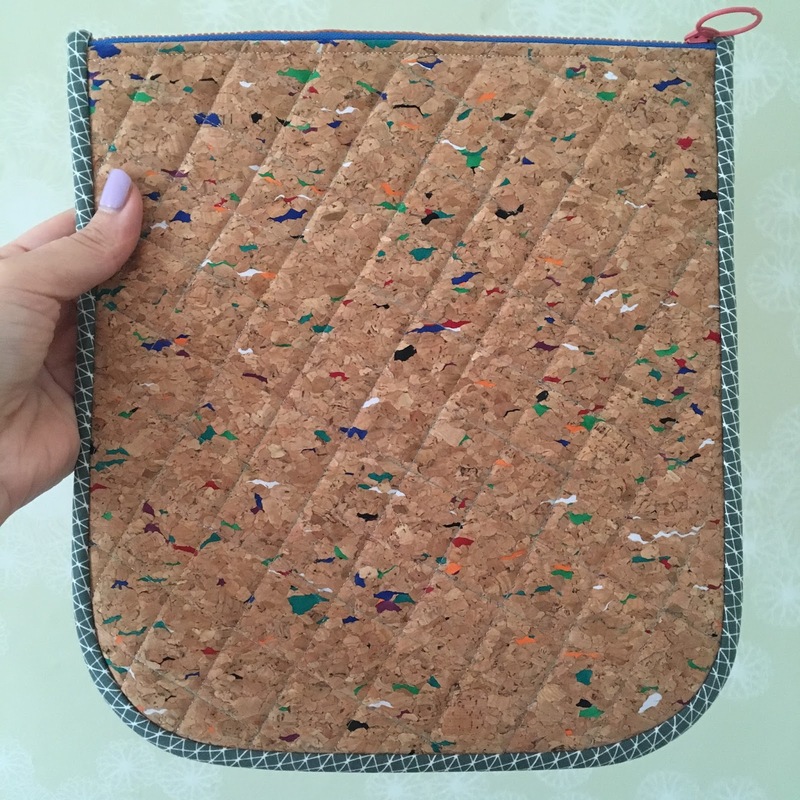 I saw the pouch on IG and really liked how you did it! 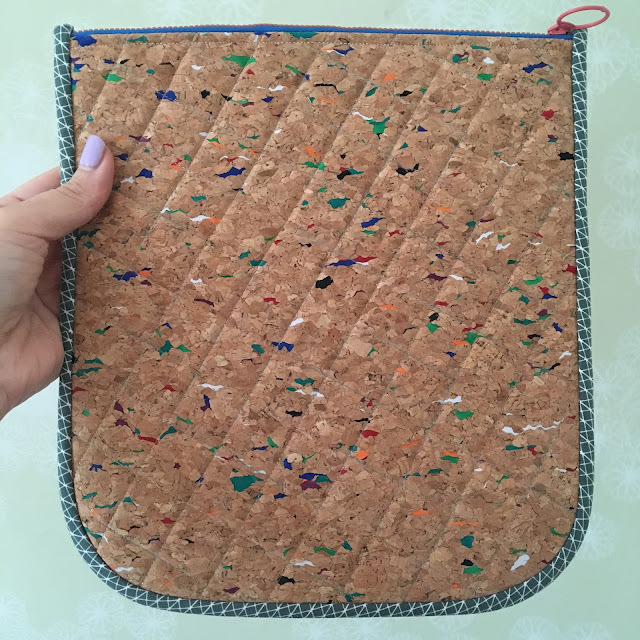 I have never worked with cork fabric... is it difficult sew with?